NASHVILLE, Tenn. – No. 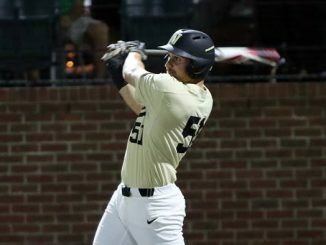 8 Vanderbilt used a six-run third inning and strong start from Patrick Raby as part of a series-clinching 15-2 victory against No. 14 Florida in front of a sellout-crowd of 3,626 spectators at Hawkins Field on Friday night. The series win is the first against Florida since May 8-10, 2014. 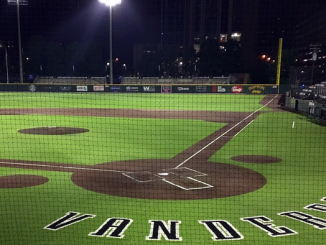 The win vaulted Vandy (18-5, 3-2 SEC) to 14-2 at home. 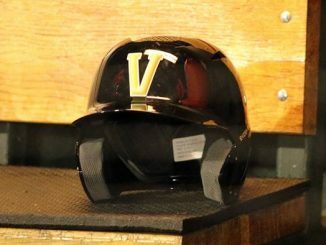 It also secured the Commodores’ 50th home series win since the start of the 2011 season. 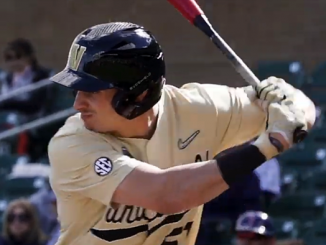 The Dores batted around in the third inning and received RBI-singles from Harrison Ray and Ethan Paul before Ty Duvall cleared the bases on a double into the corner. Cooper Davis added a two-out, RBI-double two batters later. 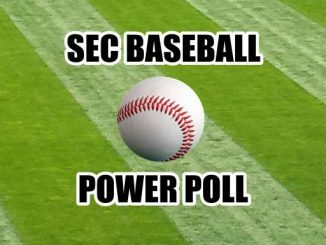 The hit parade followed a top half in which Florida (16-9, 1-4 SEC) worked the bases loaded on three walks. 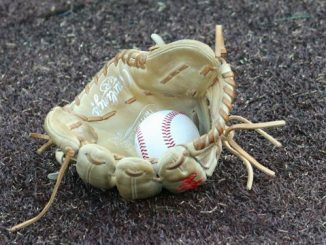 Raby (4-0), who allowed a career-high six walks, buckled down, inducing an infield fly out. 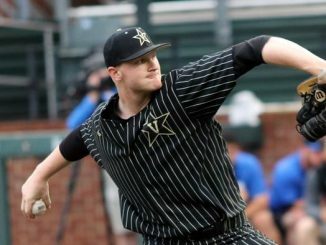 The right-hander permitted just one base hit, a leadoff single in the fifth, and helped Vanderbilt extend its scoreless-inning streak to 25. 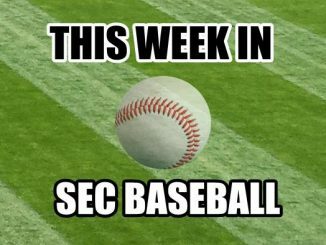 The stretch, broken up by the Gators in the seventh, was the longest for a Commodore staff since boasting 32 consecutive from March 13-20, 2011. Paul set a career high with five hits and drove in two during the fourth and added another in the sixth. Duvall, who matched a career-high with four RBIs, made it consecutive ground-rule doubles. Three batters later, Martin sent an RBI-single into right. In the seventh, Paul plated two for a 13-2 advantage on his fifth-career triple. Stephen Scott matched a career-high with four hits and was one of three players to score three-plus runs, joining Ray and Paul. 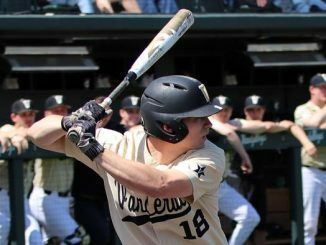 Five different Commodores contributed multiple hits as part of Vanderbilt’s highest run total in league play since scoring 17 against Texas A&M on March 25, 2017. Florida right-hander Jack Leftwich (4-2) lasted just 3.2 innings, allowing 12 hits and eight runs (six earned) while striking out two. 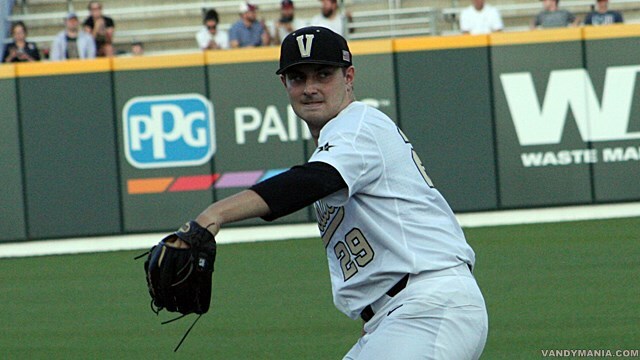 Vandy’s Jake Eder, Ethan Smith and AJ Franklin closed things out behind an inning each. 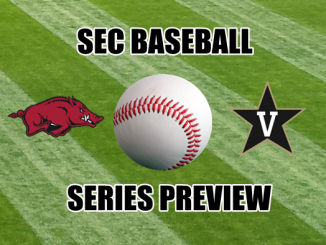 Vanderbilt looks for its first series sweep of the Gators since 2007 on Saturday when the squads close out the three-game set at 1 p.m. Florida will send right-hander Tyler Dyson (3-0, 3.42 ERA) to the mound. 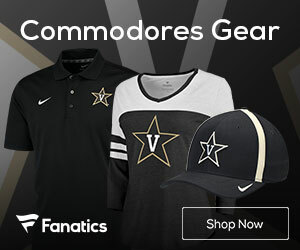 The Commodores have not announced a starter. 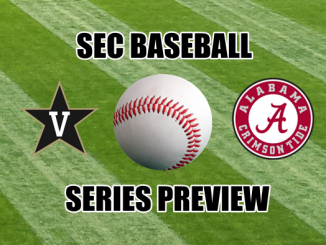 The matchup can be seen on the SEC Network Plus.